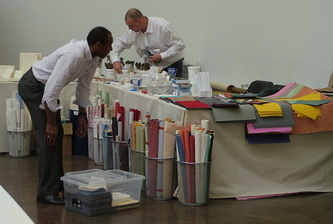 There have always been exhibitors who have wanted the fair to last two days, and in 2012 it was the right time to make that happen. 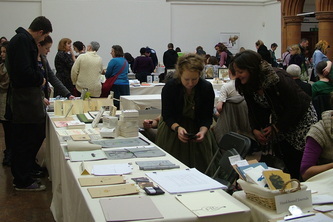 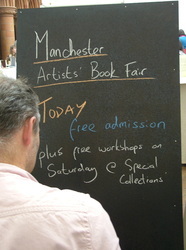 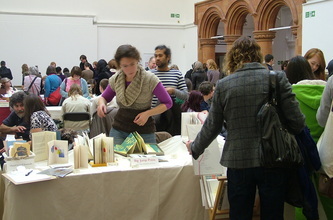 In order to allow those who wanted to travel here on the Friday to do so, the fair was arranged to start in the afternoon and for the morning we organised Collaboration and the Democracy of Book Arts, where five renowned book artists (Sarah Bodman, Nancy Campbell, Michelle Rowley, Susan Kruse and Angie Butler) talked about their work and collaborative practices in book arts, with an initial talk by the artist Anthony Ratcliffe, whose exhibition of prints 'Shoreline and Watershed' was on show in Special Collections, where the event was held. 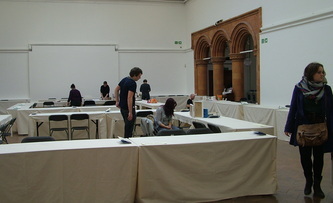 Below: how the gallery grew from a nearly empty room on the Friday morning, through setting up all the stands, to the fair itself on Friday and Saturday. 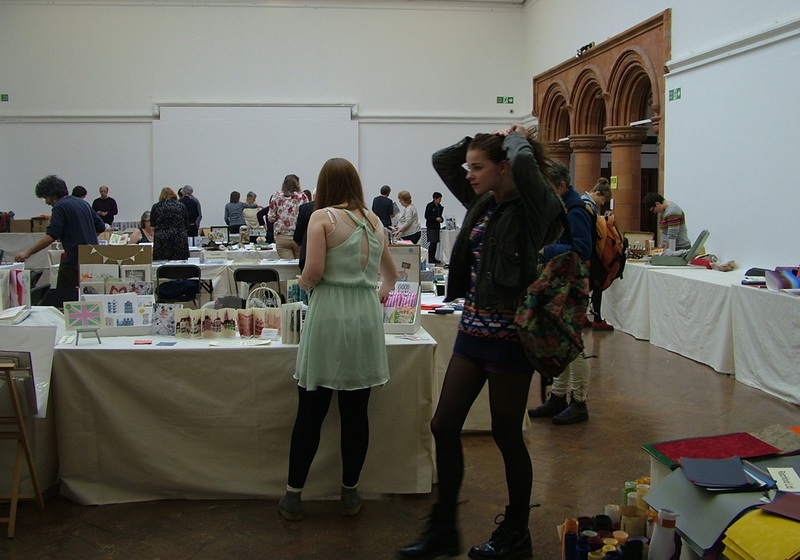 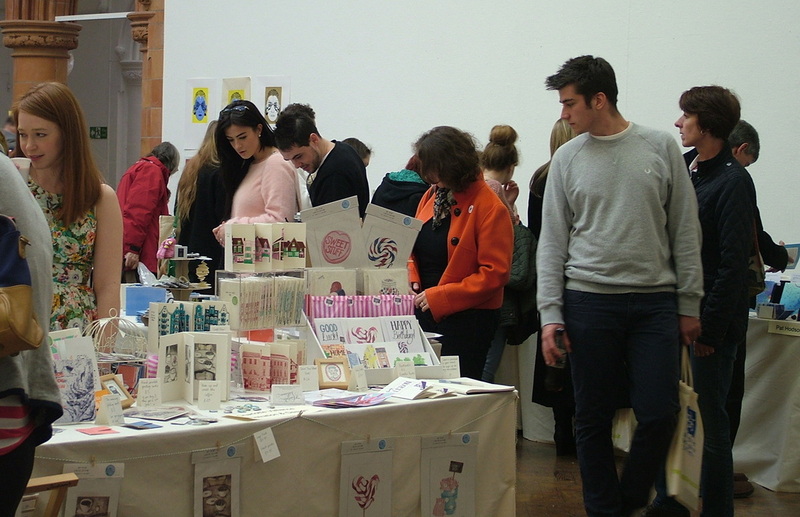 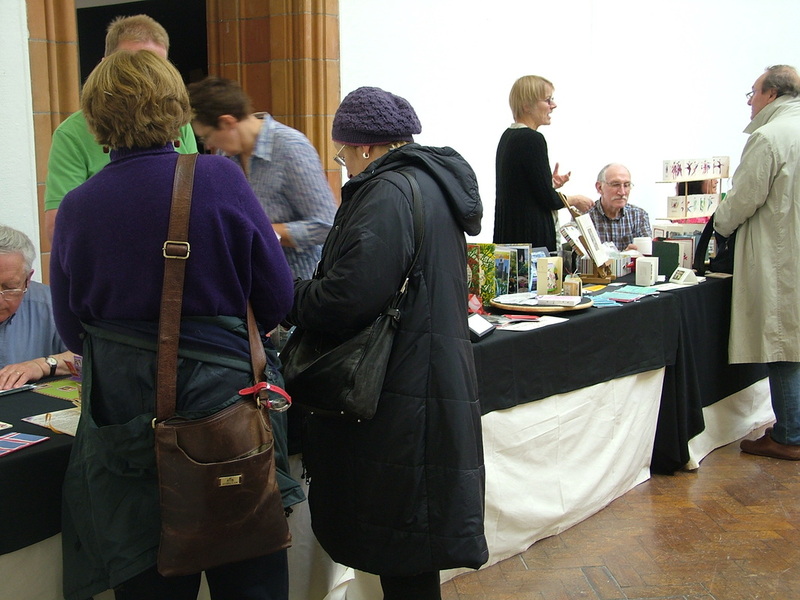 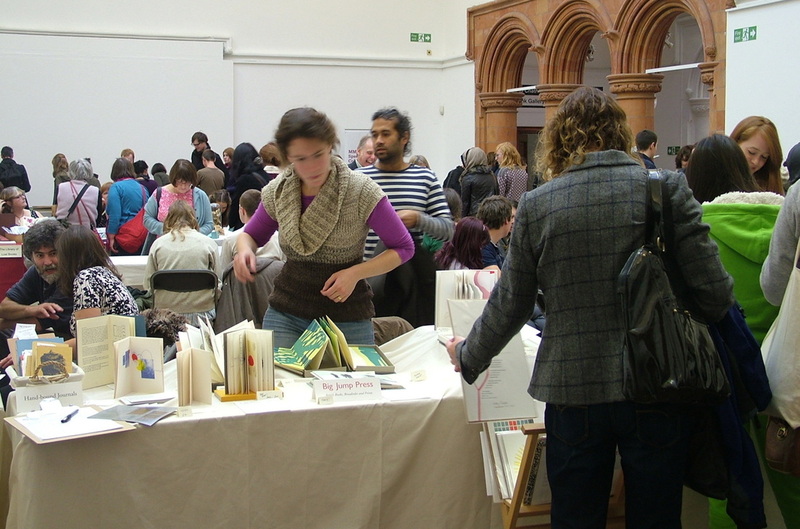 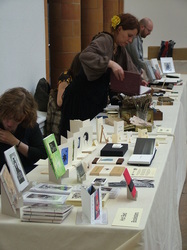 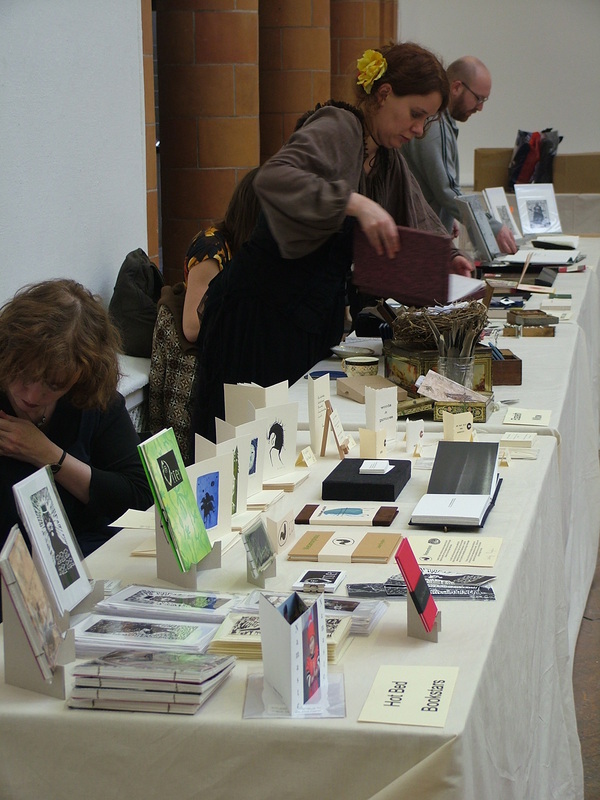 A tour of MMU Special Collection's artists' book collection was organised, and Michelle Rowley's BA Fine Arts students from Wirral Met generously ran a drop-in workshop, Book making for Everyone. 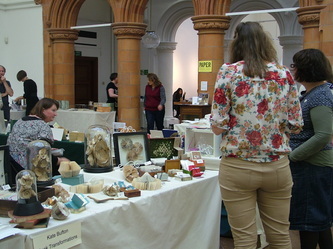 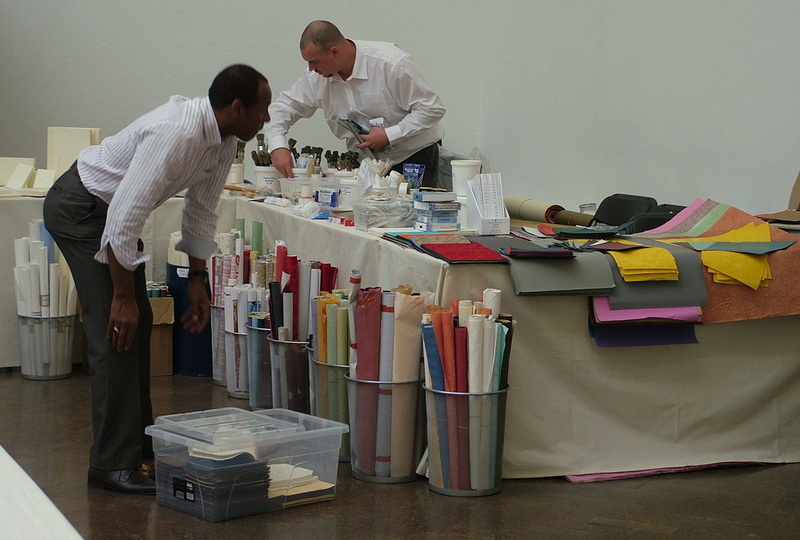 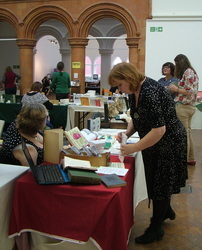 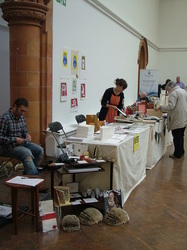 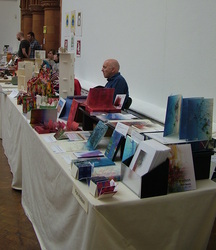 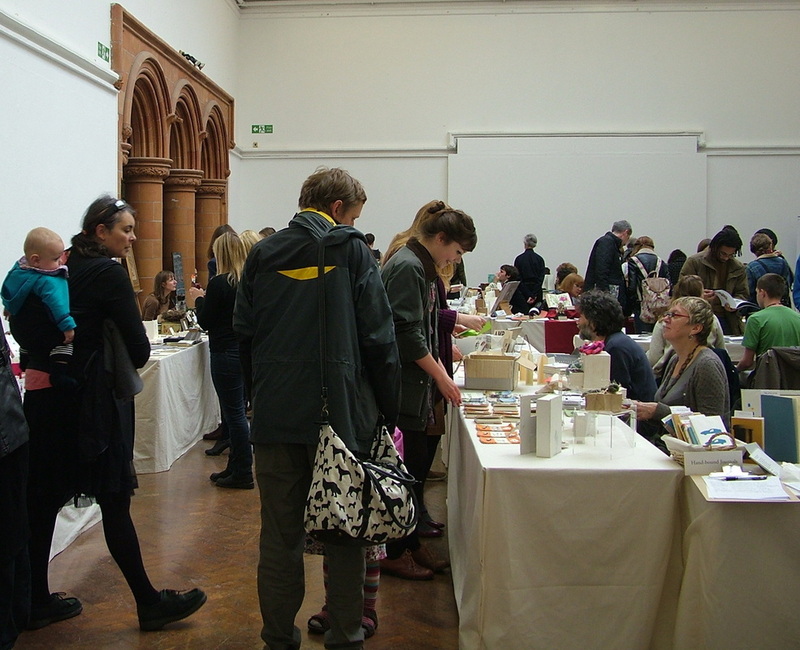 Here is a list of exhibitors from 2012 - any links are from the catalogue for that year and could be out of date.